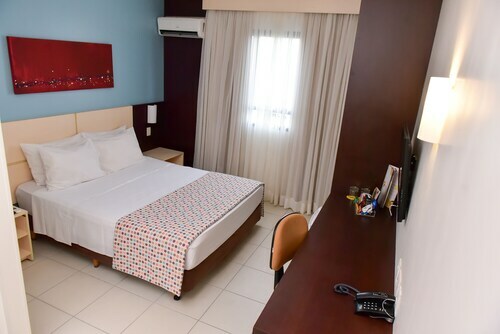 This family-friendly Goiania hotel is located in the business district, within a 10-minute walk of Rio Vermelho Theater, Horto Florestal, and Goiania Convention Center. Feira da Lua and Cora Coralina Fair are also within 15 minutes. Located in West Sector, this hotel is 0.2 mi (0.3 km) from Sweets Honey and Nature Market and 2.8 mi (4.5 km) from Flamboyant Mall. Praça do Sol and Feira do Sol are also within 5 minutes. Located in Marista, this hotel is 0.8 mi (1.3 km) from Vaca Brava Park and 2.5 mi (4.1 km) from Flamboyant Mall. T-25 Square and Sweets Honey and Nature Market are also within 1 mi (2 km). 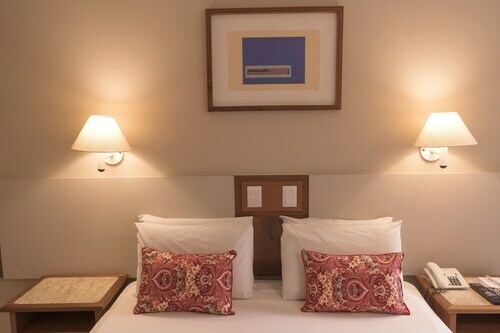 Located in West Sector, this hotel is within a 15-minute walk of Art Museum of Goiania, Rio Vermelho Theater, and Feira da Lua. Goiania Convention Center and Horto Florestal are also within 15 minutes. Located in Setor Bueno, this luxury aparthotel is within 1 mi (2 km) of Goiania Zoo, Feira da Lua, and Feira do Sol. Sweets Honey and Nature Market and Horto Florestal are also within 1 mi (2 km). How Much is a Hotel Room in Goiania? Hotels in Goiania start at $24 per night. Prices and availability subject to change. Additional terms may apply. Goiania offers travelers and vacationers a terrific assortment of first-rate hotel and apartment possibilities to choose from. Get inspired browsing the 58 accommodation alternatives on Travelocity, which can all be found within a 6-mile (10-kilometer) radius of the downtown center. Booking the perfect place to stay close to the action of Goiania has never been so easy. Our convenient visitor guide includes the Castro's Park Hotel and Mercure Goiania Hotel, all of which are within a short distance of Goiania's heart. Central Sector is a great neighborhood to base your adventures as it is where you'll find 6 places to stay. Central Sector is 1 mile (2 kilometers) from central Goiania. Travelocity-listed places to stay in Central Sector include the Hotel Araguaia Goiania and Hotel Dom Bosco. Wise visitors can also stumble across good establishments in West Sector. This neighborhood is around 0.4 miles (0.7 kilometers) from downtown. The Golden Tulip Goiania Address and Blue Tree Premium Goiania are among the 12 Travelocity-listed accommodation options in West Sector. The Flamboyant Park and the Areiao Park are favorite Goiania landmarks and a lot of visitors decide to book a hotel in the vicinity. The Comfort Suites Flamboyant and the Bristol Evidence are amongst the accommodation options that are a convenient distance from the Flamboyant Park. The Plaza Inn Executive as well as the Vivence Suites Hotel are convenient for visiting the Areiao Park. Students, families and those watching their dollars can select from some lovely Goiania accommodation options that won't blow holes in their budget. 0.6 miles (1 kilometer) away from Goiania's downtown area is where you'll find the Tamandare Plaza Hotel. The Athenas Plaza Hotel is only 1 mile (2 kilometers) away. Other lower-cost accommodation options are the Plaza Inn Augustus and the Plaza Inn Paineiras. 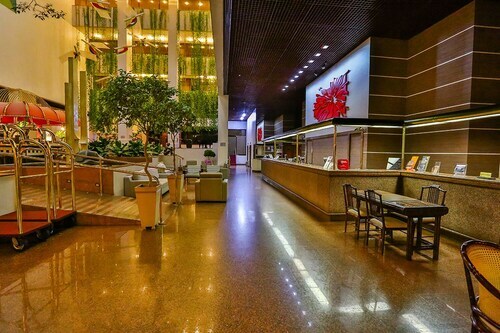 The Comfort Hotel Goiania is about 0.7 miles (1.2 kilometers) from the central part of Goiania. Alternatively, the San Marino Suite Hotel is located 0.8 miles (1.3 kilometers) away. Alternative hotel options are the Oft Place Hotel and the Plaza Inn San Conrado. Time permitting, you could visit other parts of the Central - West Region region. Travel to Central - West Region's traditional villages and history museums. Anyone with a love for the great outdoors can also put aside some time to enjoy its rivers, streams and wetlands. Adventurous travelers can also involve themselves in mountain biking in this part of Brazil. The nearest accommodation options in Central - West Region are Central Sector and West Sector. Central Sector is 1 mile (2 kilometers) to the northeast of Goiania, while West Sector is 0.4 miles (0.7 kilometers) to the northeast. Travelocity-listed rooms in Central Sector are the La Residence Suite Hotel and Biss Inn. The Pousada Afeto and Hotel Hermom are some of the Travelocity-registered lodgings in West Sector. Santa Genoveva Airport is a commonly used arrival point for air travel, and can be found 5 miles (7 kilometers) from Goiania's center. Travelocity-listed hotels nearby include Plaza Inn Breeze Aeroporto and Mangabeiras Hotel. Good, nice, clean hotel and close to where I needed to stay - Setor Marista. I really had a terrific stay at Best Western Tamandare Plaza Hotel. The front desk staff is very pleasant and helpful..and you will usually find someone that speaks English on duty. I enjoyed the complimentary breakfast every morning with a wide variety of foods to choose from. The hotel is conviently located and many stores are within walking distance. If you need or want a taxi the front desk can call one for you...and, I don't think I waited longer than 10 minutes for a taxi at the hotel. 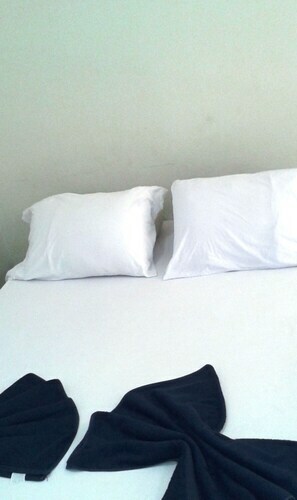 Maid service daily keeps your room fresh and clean. I am very happy with this hotel...and plan to stay there again on my next visit. Castro's is definitely the best hotel in Goiania. Great 5 star hotel for a great price! The pool is also a great place to relax with friends and family. The staff is very well trained and I felt very welcome there. I would definitely go back and recommend to others. Don't forget your sun screen!! Air conditioning barely worked. Maids didn't seem to know where the ice machines were located. Restaurant staff could have been friendlier.